Help! My Employees are Dating! Office romance? Whatever shall I do?! Being a boss means a lot of things. It means encouraging employees to do their best, giving them the tools they need to succeed, and managing a variety of tasks and updates all day long. Being a boss is hard work, but being a good boss is even harder. For many workplace leaders, it can be difficult to figure out what to do when two of your employees start seeing each other, GREY is here to help. 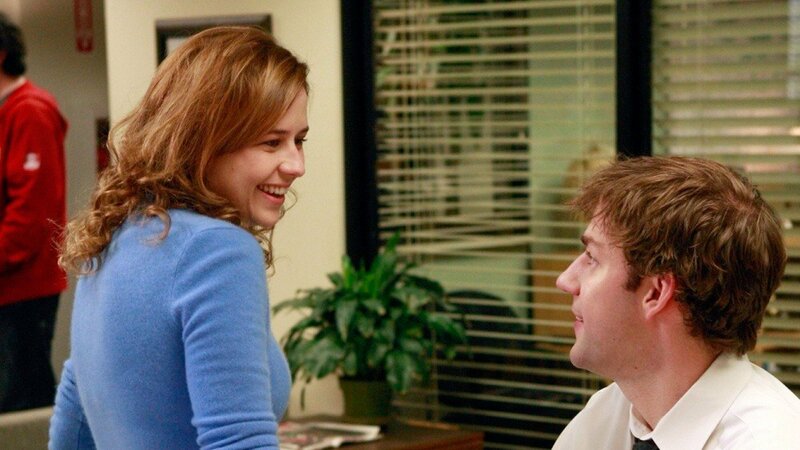 With people spending the majority of their work week in the office, it’s not surprising that a lot of people meet their significant other there. Places like bars, concerts, and other leisure activities don’t always give you the amount of time needed to get to know someone, the workplace does. Working for the same company guarantees at least one point of common ground in a relationship. It also ensures that the two people are geographically close enough to meet up in their off hours. This means that people are more likely to meet a significant other at work than they were before and as a boss, you should know how to deal with that. Discouraging relationships completely isn’t a good approach. This won’t stop many people from trying, they’ll just keep it secret from you. Creating a culture of secrecy and intolerance around romance will only alienate you from your co-workers and make them less likely to trust you in other areas. This policy could also create an unhealthy work environment when a relationship goes wrong, and they can’t go to you or HR to sort things out without getting in trouble. Additionally, allowing people in your office to fall in love can end up benefiting everyone. A study done by Amy Nicole Salvaggio, an assistant professor of psychology at the University of Tulsa, has shown that generally, an employees productivity increases when they’re engaged in a romantic relationship. There are some grey areas when it comes to office romance. Many companies discourage relationships between an employee and someone they report to (ie. someone who holds some level of professional power over them). Surveys conducted by the Society for Human Resource Management in 2013 have shown that the majority of HR offices forbid relationships between supervisors and staff. Unequal power in a relationship can make things like professional retribution or threats a possibility in the event that it becomes toxic. If two people come to you who are boss and employee – but still wish to pursue a relationship, see if a change in supervisor can amend the situation without being detrimental to either party’s career. There might not always be an easy option that works for everyone, so you’ll have to put your foot down in a lot of cases. Make sure your employees know that what you’re doing isn’t personal and that the policy is in place to protect them rather than hurt them. 3. PDA, Hand Holding, and Lunch Dates Oh My! If you allow relationships to form in your workplace, you then need to figure out how to address things like PDA, gossip, and other side effects. While some are harmless, others may need to be stopped. Make sure the people you work with, no matter what level of the company hierarchy they’re on, are aware of the policies you put in place. Having an HR person help you in developing these policies is a great idea because not only will they know of ways to discretely address workplace behavior, but they’ll have an understanding of the policy’s legality too. When your employees start dating you may see things like PDA, private lunches, and an increase in attentiveness toward each other. Most of this is harmless behavior as long as it doesn’t affect their work or the work of those around them. You will probably want to ban things like overt sexual behavior from the office, but acts like a peck on the lips or hand-holding are hardly endangering anyone. It’s important to retain a level of professionalism in the workplace, for both the couple and the people around them. Office gossip is no joke when it’s mean-spirited, and protecting your employees from harassment (verbal and otherwise) is part of your job. Be attentive and pay attention to what people are saying. You may want your policy to set out guidelines on what constitutes harassing language. You’ll know when someone is being mean and as a boss, you can’t tolerate it. A good boss doesn’t allow harassing language, jokes, and questions to be directed toward their employees. It’s your responsibility to educate the perpetrators on their errors, and if they fail to learn you need to have established repercussions in place. There’s a difference between respectfully courting someone and harassment. As a supervisor, you can’t allow for harmful or predatory behavior to enter your workplace. Your employees look to you for guidance and leadership, if you allow for any tolerance on this matter, they will not trust you. Worse, you may inadvertently create a policy of unspoken support towards such behavior which could encourage increased occurrences. Make sure your employees know that ‘no means no’ and failure to abide by this will result in serious action from management. Nobody wants to be afraid of going to work due to unwelcome advances, do your job and keep your employees safe. Sometimes harassment can come as the result of a relationship that ends badly. If there is an imbalance in workplace power between a couple, threats of professional sabotage can occur. A good boss cannot tolerate this either. Other types of post-relationship harassment can include things like disclosure of intimate details to co-workers, rude comments, sabotage of projects, etc. In these types of situations, you need to step up and be the leader your co-workers expect you to be. Condemn these actions and respond with quick and severe repercussions. Many companies have a zero-tolerance policy where behavior like this results in immediate dismissal. We advise you to adopt it as well. It’s also a good idea to have employees report relationships to HR or you. This way you can help manage office behavior and control gossip. However, don’t demand more details than necessary. Nosy questions and invasive behavior may make people unwilling to report relationships in the first place. You don’t have a right to the personal details of their romance and you don’t have the right to inform others of the relationship’s existence. It’s important to make sure couples in your office retain a healthy level of professionalism. Usually, this won’t be a problem, the mutual admiration for each other’s work is what draws people together in a lot of cases. Overall, just respect their decision to give a relationship a shot and make sure their conduct in the office is befitting of the professionals you know they are. What do you think of office romance? How have you handled your employees in a relationship? Let us know on social media or in the comments!